Creating a successful videogame can often be a complicated affair. The more elements involved, the more there is to go wrong. Take storytelling, for example. Whether it’s the straightforward narrative of an Italian plumber rescuing a princess or the socio-political intricacies between the Empire and the Thalmor in Skyrim, narrative can be delivered in lots of different ways. And the trend in story-driven video games shows no sign of slowing down. Most story elements in games are often delivered in linear form, where one sequence of events follows another. You can see examples of this approach in the likes of Call of Duty, Halo, and Gears of War. Some other titles have a somewhat non-linear approach, such as Mass Effect, which allows you to progress the story in different areas depending upon your actions or words. And other games feature open world story elements, such as Grand Theft Auto V, or Skyrim where the digital realm is open and available for you to explore at your leisure and in an order to your liking. But all of the aforementioned titles, and plenty more besides, utilise narrative elements that extend far beyond the core plot of a game. There are details woven into art direction, level design, vocal work, and gameplay. Each of these can contribute to the overall narrative direction of any given title, which becomes more obvious when you peel back the layers. Take Halo, for example. You might be tempted into thinking that Halo titles primarily focus on large, ring-like structures that tend to kill all sentient life in the galaxy, and you wouldn’t be wrong. 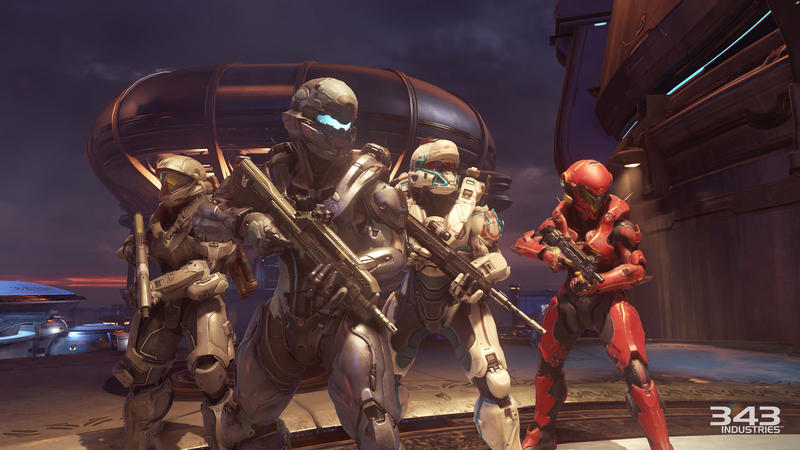 But while the Halos themselves do play their part – in some of the games – Halo involves a lot more than just trying to avoid waking powerful threats from an ancient slumber. The fifth iteration of the primary series [Halo 5: Guardians] saw the ever reliable Master Chief and his fellow Blue Team members face off against threats from within and without, including the opposing Spartan Team Osiris. But while the teams are in opposition to each other pretty much from the beginning the set up goes much further than that. Let’s look at the team names: Blue and Osiris. 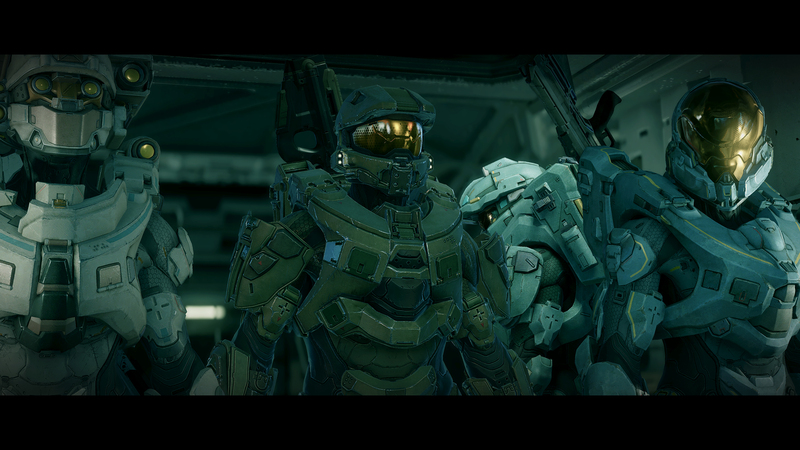 Blue Team are an older generation of Spartan soldiers, going back more than thirty years in the Halo fiction. Being the ones with a defined history, Blue Team, and many other of their class, sport traditional monikers: Blue, Red, Green, Black. Osiris, however, don’t have that history. They’re the new generation. The Spartan equivalent of the newest do-anything smartphone compared to the older and more bulky 1990s handset. The name itself, Osiris, is evocative, and steeped in Egyptian mythology. Whereas Blue Team is simple, straightforward, practical. It could be interpreted as the good old says of simpler times against the arguably more complicated modern military machine. And this is reflected in the individuals, too. Blue team, again the old and bold, sport somewhat traditional names: Fred, Kelly, Linda, and the ubiquitous John. Osiris, on the other hand, use their surnames: Locke, Tanaka, Buck and Vale. Not only does the naming convention add to the sense of opposition, the use of forename vs surname sees friendship face off against formality, a sentiment echoed in the amount of time each team has been together. Visually, their armour carries the same message: Both teams are Spartans, but they’re different. Osiris features a more organic aesthetic to their armour design, using more curves and smooth edges than the comparatively less sweeping and more brute force look of Blue Team. And it was something that 343i Franchise Development Director Frank O’Connor had stated early on by describing Blue Team as old American Muscle cars and Osiris as modern Italian supercars. But the aforementioned touches could be perceived as fairly subtle. So, in order to really ram the point home, I suspect, 343 Industries gave both teams very different cinematic introductions. Note the sleeker design of the armour worn by Fireteam Osiris. Osiris, being relatively new to the fictional universe needed to make a big impression, both in terms of demonstrating their capabilities as a team and also to grab the players’ attention. They achieve this by projecting their more youthful status via a lively entry – dropping in from the sky and blitzkrieging through the former remnants of the Covenant. It’s a dynamic opening, full of energy and explosions. You could be mistaken for thinking that Osiris are showing off. Perhaps they are. The approach taken by Blue Team is entirely different. Being veterans of the war with the Covenant they opt for stealth instead of showmanship, using an asteroid field for cover and inserting via the cold vacuum of space before quickly dispatching the immediate threat on board the ONI (Office of Naval Intelligence) research vessel Argent Moon. In addition to the main plot the subtle touches provide both a distinct sense of identity for Osiris and Blue Team, but also enhance the sense of opposition. In fact, look at how different the Covenant, UNSC and the Forerunners are, both in terms of technology and the visual identity of each vehicle, weapon and ship and you’ll notice how this helps clearly identify each faction involved. All of which is important in avoiding confusion amid frenzied firefights. But this isn’t anything new. In fact it’s the sort of approach that has been used, in some form or other, in hundreds of other titles, especially where there are at least two sides in opposition, even if they aren’t at each other’s throats. It’s just one way of delivering the story. Developers have to make it work with everything they use, from convincing dialogue to a plot that makes sense. Which is no easy task.